This entry was posted on January 16, 2017 by Nick. Valentine’s Day is fast approaching and it can be difficult to find the perfect gift for your boyfriend or husband. 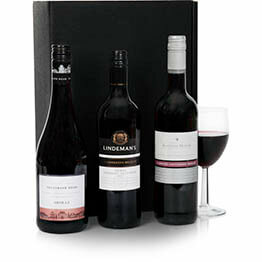 Hamper.com have created a fantastic collection of Valentine’s Day hampers for him that he will love! Take advantage of free UK delivery and choose the exact day you’d like your gift to arrive, including Valentine’s Day. 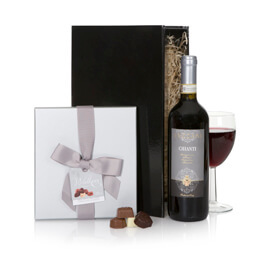 Surprise and spoil him with an indulgent Valentine’s Day gift from Hamper.com! 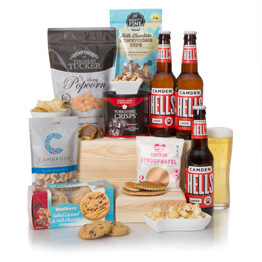 Make this Valentine’s Day special with the Craft Beer Collection from Hamper.com! Treat him to three English craft beers from Hunter’s as well as chilli jelly, smoked cheese and oat biscuits. 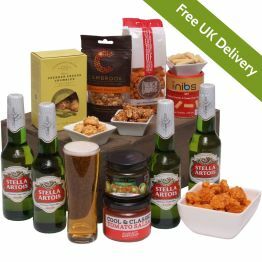 Add a free personal gift message and receive free UK delivery on this fantastic collection of real English ale. 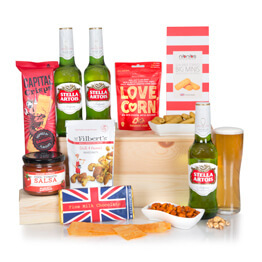 Treat him this Valentine’s Day with the Beers and Bites hamper! 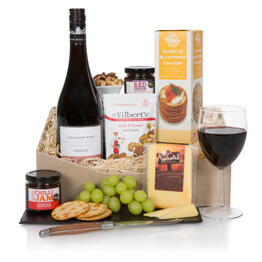 The hamper features delicious treats including cheese crumbles, caramelised peanuts and chilli crackers. He can wash all these down with four bottles of Stella Artois, perfect for enjoying a night in! Packed with premium foods, he’s sure to feel appreciated with the Only The Best For Him hamper from Hamper.com. 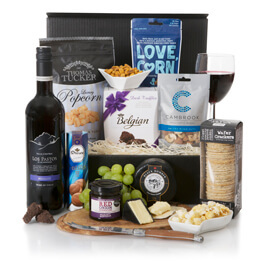 The hamper arrives in a luxury black gift box and features St Emilion red wine, Black Bomber cheese, cheese and pumpkin flatbreads and award-wining red onion chutney. 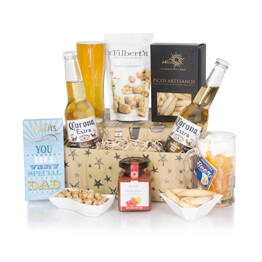 This hamper is perfect for boyfriends and husbands of all ages! The Gentleman’s Ale Basket is a perfect Valentine’s Day gift for a boyfriend or husband. 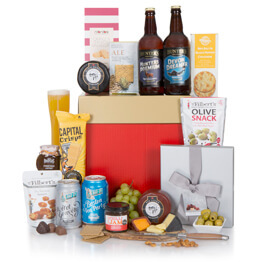 The gift basket features bottles of Old Speckled Hen and delicious treats such as smoked cheddar, oat biscuits, sea salted crisps and indulgent paté. The gift basket is a wonderful gift for boyfriends and husbands this Valentine’s Day! For more information on any of the Valentine’s hampers that we provide, please get in touch today. Contact us online and a member of our team will get back to you as soon as possible. 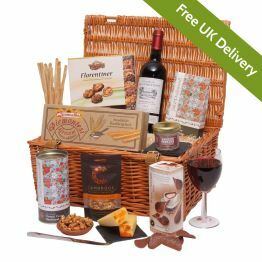 Hamper.com provide free UK delivery on our Valentine’s Day hampers and send an email alert when your hamper has reached its recipient.